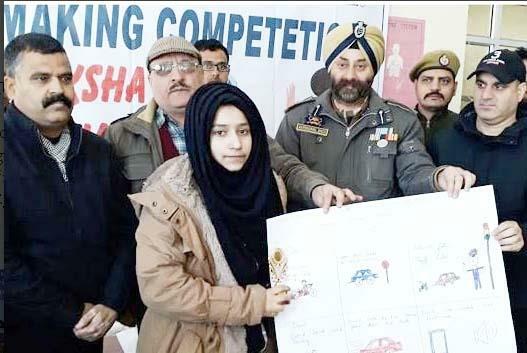 DODA, FEBRUARY 09:- As a part of week long road safety week, the Motor Vehicle, Department Doda today held poster making competition at Higher Secondary School Doda in which students of different schools participated. Around 300 hundreds students from Govt and private education institutions, Police, transport unions, Dealers, Driving Institutions, Pollution centres participated in the programme. ADDC Doda Mohammad Haneef Malik was Chief Guest on the occasion. He said that Doda region is already declared as accident prone in the state as some major road accidents have taken place in this area so observing traffic rules in this area is all the more necessary.